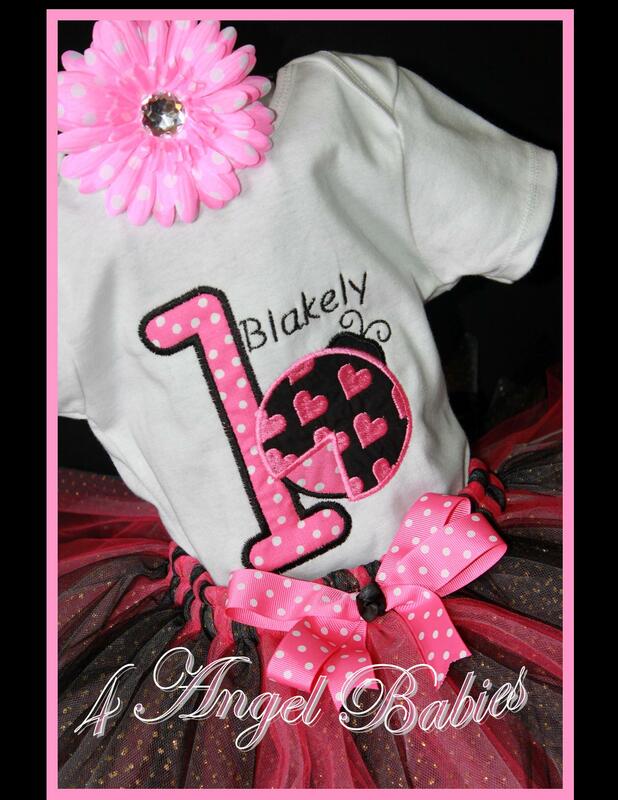 If You Mustache I'm Birthday or Back to School Shirt or Top Gree - $22.95 : 4 Angel Babies, Custom Creations for the Angels in your life! 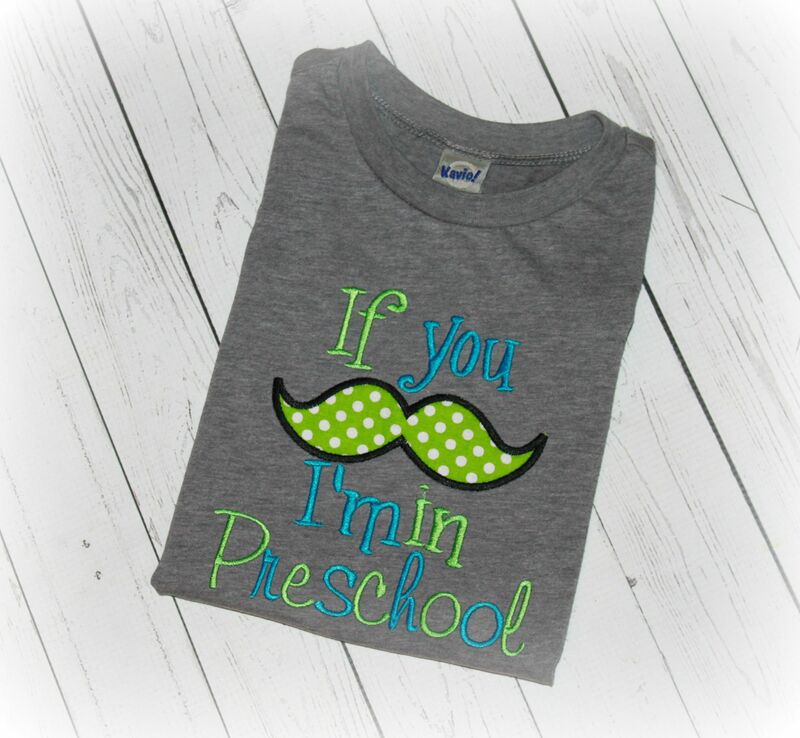 Add one of these adorable embroidered boys or girls "If you Mustache I'm In... school or a certain age (for birthdays)" back to or first day of school shirts to your little one's wardrobe. Perfect for back to school, parties, holidays, photo shoots, parties, special trips, vacations and more! 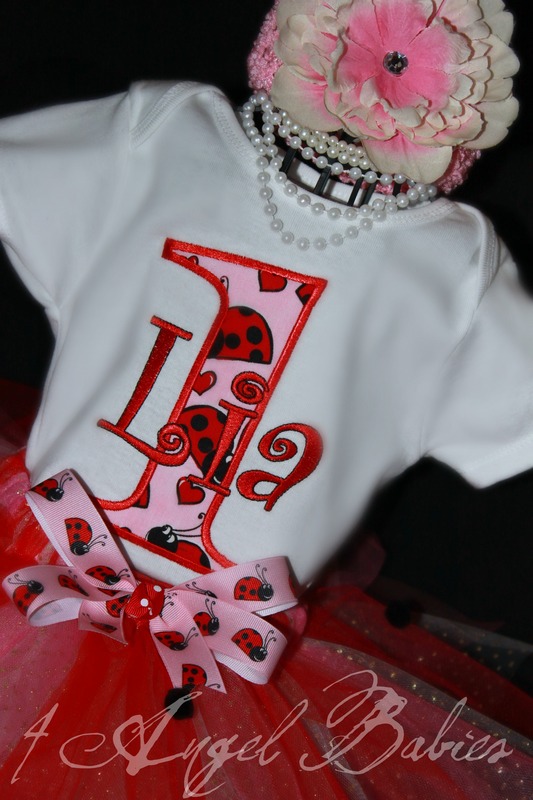 Customized with your choice of phrase, sports ball, color scheme and size. There are no iron-on images here. All images are made of durable cotton and appliqued with beautiful embroidery thread. 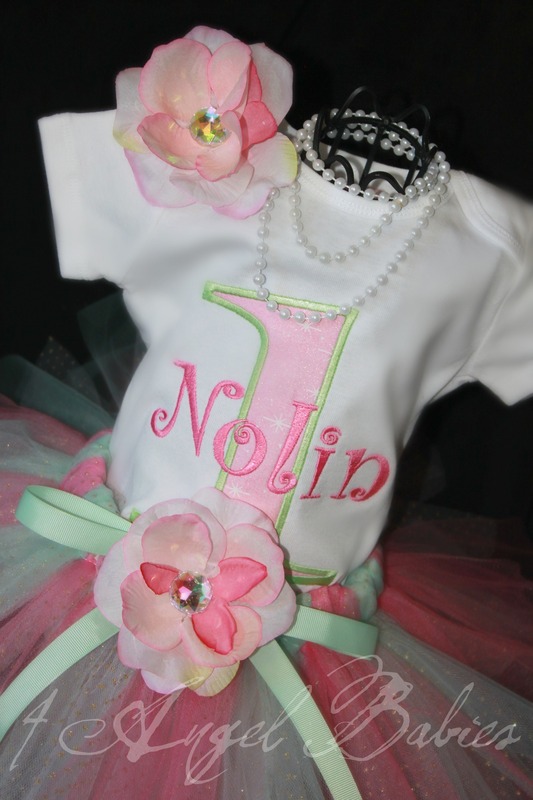 Also available as a 3 piece tutu outfit for $53.50 plus shipping. Matching accessories available: Hat is $24.99; bib $21.99.